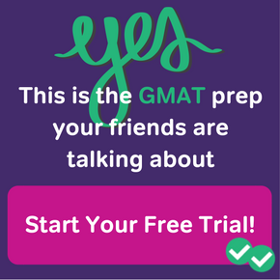 This week, John S. tells us about his experience with the GMAT. Read on to find out which resource he wish he’d found earlier in his prep! This fall, he’ll be starting business school online at the University of Indiana. About me: I’m from San Diego, where I graduated from UCSD with a Political Science degree. I manage the IT department for a non-profit research institute here in San Diego that studies immunological diseases. Thanks to Magoosh giving me a nice refresher on my seventh grade math, I was accepted into the University of Indiana Kelley School of Business’ Online MBA program and will be attending in the fall. I have an absurd number of hobbies – it’s kind of a problem. Among them are piano, Japanese, scuba, travel, reading, games, yoga, running, and finding fun things to do with my lovely girlfriend. Biggest challenge: Math was by far the hardest topic. Grammar was the second hardest. Math was mostly just re-memorizing all the rules for the questions for math that I hadn’t used in 15 years. Grammar was more about learning how the questions were phrased and used. The way Magoosh had videos to explain how the instructor got to the answer was very helpful. I found it especially helpful for grammar problems, because the instructors showed how they broke down section by section of the sentence. 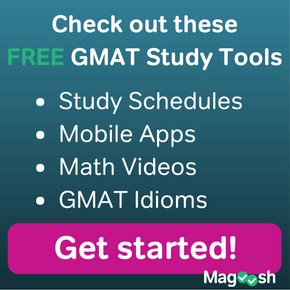 Helpful tips for other students: I had no idea that Magoosh offered flashcards until like two days before my test. I would have flashcarded all my math issues away instead of just doing dozens of practice problems. A second point: the answers are easy. Learning and practicing and thinking in a way to get the answers is hard. 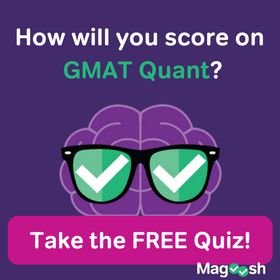 After you’ve memorized all the little rules the GMAT will test you on, I’m not sure there’s anything you can do but practice answering questions.